In addition to this Lindberg/Blue M HTF55322C, Capovani Brothers Inc stocks a wide range of used and refurbished tube furnaces. Typical manufacturers include Blue M, Centorr, CM Furnaces, Cress Mfg., Lindberg, Mellen and Thermolyne. To view our complete stock of used box furnaces visit our Tube Furnace category. 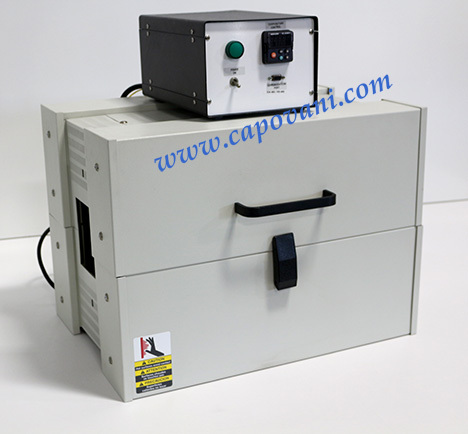 This used tube furnace and all the other used and refurbished semiconductor, scientific, and laboratory equipment listed on this website are owned by Capovani Brothers Inc. and stored at our facility in Scotia, NY. Accessories Watlow PM6 controller with High Limit protection. and Profiling ramp and soak option. Up to 40 steps and four profiles, no real time clock or battery back-up option. Overall Length 23" end to end. 3" ID. sealed on one end, other end open. Gas feed tube inside retort, see other images for details. Other Information Refractory ID 3.5"